English is not only useful – it gives you a lot of satisfaction. Making progress feels great. So let me help you! I'm Teacher Sharon from Philippines. A bachelor degree holder major in English. Learn English with me and I assure you, I'll work hard to help you improve your English Skills. I'm looking forward to have you in my class.See you! 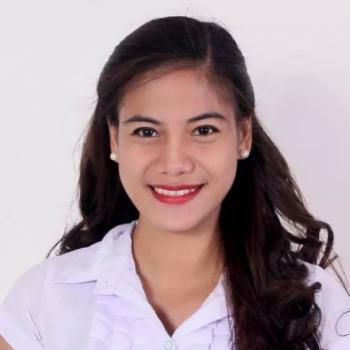 Teacher Sharon got her Bachelor of Arts degree Major In English at Pangasinan State University.She was a former ESL Online teacher for 2 years. Her greatest achievement was when was she awarded as the top Customer Service Representative for year 2016 and 2017 in an Australian Telecommunication Company based in Metro Manila Philippines. She likes to travel and been to Japan several times. She wants to become an ESL teacher to share her knowledge and influence multiple generations.She believes that if she can help someone achieve his/her goals then she accomplished something vital in her teaching career. She is a greatest instructor together with perfect skills in teaching.